It's not just the Church of England, of course, that has lost large amounts of Holy Tradition (as distinct from plain tradition, with a lowercase 't', which referes merely to customs). Holy Tradition is, as one person described it, footprints left in the Church by the Holy Spirit. Or to put it in non-metaphorical terms, Holy Tradition exists in the Church to promote, promulgate, safeguard and support life in the Holy Spirit. That's what Holy Tradition is. That's what it's for. And every single, small aspect of it has a specific role toward that end. People outside of the Orthodox Church don't appear even to know what that means anymore. That's why Holy Tradition also no longer makes sense. That's the only reason Holy Tradition could lose its meaning. If the life it enshrines and structures has been lost, then Holy Tradition appears as nothing more than 'doing it this way just because this is how it has always been done.' Or, worse yet, Holy Tradition appears as the new Pharisaism, a legal-mindedness. And it would be hard to tell them what it is they've lost because the Lost Treasure, like all True Love, exists at that wordless level of the human soul. The heterodox minister, in his sermon, asked, 'What does this mean?' Because of course at the cognitive level it's nonsense: one cannot believe and disbelieve at the same time. So if you live at the cognitive level, that is indeed a question to raise and discuss. In fact, the Lutherans are actually right that faith is sometimes irrational - they are right, that is, provided you live on the cognitive level and not the existential or spiritual or noetic. At that level, it's all rational. The Orthodox priest got up to preach on the same text, and asked, 'Who among us does not know what this means?' and everybody smiled sadly and nodded. We all know what it means because we've all prayed the same prayer! We have all wrestled with that issue. But to attempt to deal with it cognitively would strike us a very strange! I've told the story before on these pages of Demetrios' huge high school friend Vasilis (Basil), who, hearing a fellow student, an atheist, say, 'I'm not sure I exist,' decked him. Well, he lifted the boy high in the air, over his head, and then dropped him - quickly returning him from the cognitive to the existential level! - and then asked, 'Now what do you think? Do you exist or not?' Safe to say, he knew at that moment he did! Yet another example: every toddler knows when he is being treated unfairly. He cannot analyze what has happened; cannot put it into words, has no cognitive anything with which to deal with it. But he knows it anyway. At another level. But people by and large, at least in Western culture, just don't live at that level any more (unless they have learned from Holy Orthodoxy how to do it). 'That level'. I've called it spiritual, I've called it existential, I've called it by its Greek word, nous. But it's also just the deepest awareness of each of us, of our truest humanity and personhood. Yes, it's something natural (because of our having been created in the Image of God). It's natural and supernatural; and it's ironic that we, who have become unnatural, only seem able to retrieve it by supernatural means, by Divine assistance. To lose touch with 'that level' is to be estranged from ourselves, in the first place, and from the Holy Spirit in the second place. That's what is missing. That's why Holy Tradition, to the extent the Church of England may have had it, no longer means anything to her, and devout Anglicans are in the midst of a conscientious, systematic, wholesale rejection of its remnants. It was my fault. I had neglected to do my homework on the Internet. Too busy blogging and reading all your blogs. So I forgot to find out how to get to the Greek Orthodox Church of St. Nicholas in Liverpool. Demetrios thought he remembered, but as long-time readers of this blog may have realized by now, that phrase ('thought he remembered') has frequently led to - well, not exactly disasters, but dead-ends, anyway. Take the train, he said, and walk a couple of short blocks from Central Station. That much is more or less true, except it's more than a couple of blocks and they aren't exactly short. But it is non-helpful if you aren't sure which blocks, in which direction. We wandered around lost for the longest time. We asked several people, but nobody knew, and to make things more confusing, there's another 'St. Nicholas' that isn't Orthodox. Eventually an Information Point opened and some nice clerk there printed us a map. By then, however, it was well past when any Divine Liturgy would be over. We didn't know when the Liturgy might have begun, but whether as early as 9:30 or as late as 10:30, it was surely over by noon. Had we but known, it was only beginning, but we didn't know. NOON! Who begins an hour-and-a-half to two-hour service at noon, when you've had to fast from the midnight before? I mean, who does that, and why? So, unaware that, provided we could have found the right bus, we could still have made it before the Cherubic Hymn, we ducked into MacDonald's on Paradise Street and sat in two very comfortable chairs (yes, comfortable, in MacDonald's!) enjoying our burgers and fries. Then, as it was a glorious day and we were seated right behind a glass wall, we watched what seemed to be about a third of the populace walking past, enjoying the warmth and bright sunshine. 'Neither do I!' said Demetrios. So it was about 1:30 by time we decided to make our way to the Greek church. We were determined at least to get there and see what it looked like and be able to know for sure we could get there next time. There was no hurry by now, of course, so as our route took us right past the Liverpool Cathedral (Church of England), we decided to look in. It's most impressive, as a cathedral is meant to be. It's of red sandstone facing, but that covers up many tons of brick and concrete and steel. It's a 20th Century edifice, using Gothic style but thoroughly modern building methods and materials. It's the largest cathedral in Britain, and the largest Anglican cathedral in Britain and/or Europe. It was completed in 1978 and opened by Her Majesty. Oragn music was playing softly as we walked in, lending further churchly atmosphere. Admittance is free, but you do have to pay a ticket for the audio guided tour, which we didn't, or to climb up the tower. The 'Tower Experience' is heavily promoted, especially at night, at sunset. The artwork leaves much to be desired. The statues look like corpses stood erect. The paintings you have to see before you can properly fail to appreciate them. There's one of the Good Samaritan. All the characters are contemporary. The man beaten and robbed and left for dead is entirely naked, and you get the full frontal view. (He's well-endowed, too.) The elaborate scrollwork/statuary and whatever behind the altar is 'Cathedral Classic' and, to me, ugly. The baptismal font is too shallow to dip even a baby. You don't even have the option of actually baptizing (dipping) anybody. The Lady Chapel alone is bigger than an average church in the U.S.
We had been sitting in the first row of wooden chairs when the choir filed in, all vested, men in cassocks and surplices, boys with ruffled collars. (Interesting: they have women priests, but no women in the choir; what's with that?) We had been lucky enough to be there for choir rehearsal. A nice man who stopped to chat with us informed us that Choral Evensong would be at 3:00. So we hurried off to find that Greek church in time to be back at the cathedral for Evensong. We found St. Nicholas, at last! It just happened to be open, too, and the clothing of the people in and about the church let us know there was about to be a wedding. We ducked behind some posing family members, in between photographs, and went in. It was good to be back in an Orthodox Church, good to enter a house of worship where you cross yourself as you go in, and greet the saints via their icons, and light a candle to symbolize the offering of your life. Nobody was very friendly. At least that was our first impression. Perhaps because they were desperate to have us gone before the ceremony, I don't know. Anyway, it was not the open-arms greeting one usually has from Greeks. We hurried away and arrived back at Liverpool Cathedral just barely in time for Evensong. Talk about traditional! Oh, yes, this evensong even retained thee, thou, and doth. As in, 'He hath holpen His servant Israel.' And of course there was the prayer for the Queen, to which we are unaccustomed. Anglican church music has its own, unique sound. We have three or four recordings of it at home, and I've come to the point, I think, of being able to recognize it anywhere. I like it a lot. Not as well as I love Russian chant, or even Byzantine when well done, and I'd be horrified to have in in an Orthodox church because it appeals far more to the senses than to the human spirit, but at that sensory level, it's indeed lovely. The cathedral has contemporary services, too. After evensong, we had tea in the purpose-built cafe over in the North Transept. They call it, somewhat pretentiously I think, 'The Refectory'. You can sit there and have tea and a treat (shortbread topped with caramel and chocolate!) overlooking the cathedral precincts. (Massive wooden doors are opened, leaving only the acrylic ones to keep the weather out.) They play light classical music for you while you eat, which heavy acrylic doors prevent being heard in the nave, adjoining. The cafe will cater to your group, too, by appointment. You can even rent the rear of the nave, according to one pamphlet, for such things as 'corporate receptions or gala dinners'. No experience or even proper concept here of sacred space. The cafe is right next to the purpose-built gift shop. We browsed in there, but didn't buy anything. On the way home, we reflected on the loss of tradition and Tradition, and what it implies, but that's for another blog post. Taking a somewhat different route to the train station, we passed the shell of a large church, St. Luke's. I asked two women sitting on its steps what had happened to the building. They said it had been bombed during the war, but was on the national list of sites to be restored. As the conversation progressed, it turned out they were Catholics, and they wondered whether we had also seen the Catholic cathedral. When told we had not, they pointed to its top, showing above some buildings in front of it, and highly recommended it. it's very modern in style, apparently. We were too tired to see it today, but will remember to check it out another day. We arrived home footsore and backsore but having had another splendid day in Liverpool. Today is a special day in the nearby village of Rainford, where David and Julia live. It's Walking Day. 'Do you want to come?' asked David. It's a parade. A Parade of Christian Witness, it's supposed to be. All the local churches (which, as far as I can tell, means the Anglican, the United Methodist Reformed, and the Catholic) march under their banners. First, they assemble at the parish church, All Saints (Church of England) for a short service beginning at 2:00. Then, around 2:30, they walk down the main street of the village, along which Julia and David live, 'and then about 130 yards past our house, they turn around and march back again, rather like the Grand Old Duke of York.' James and Nick used to march in it when they were young. It's also Homecoming, when people who have left the old hometown come back, and families have barbecues. So Julia and David picked us up at 1:00, to get back before the roads were to be closed off for the event, and we had tea and some of Julia's homemade cake (with chocolate filling between layers!) and tea until we heard the distant sound of a band. Oh, and Julia had a correction for something I wrote on this blog earlier: that she uses two bags of tea per cup. She points out that's two American tea bags. When we use English tea bags, one per cup is enough. Well, I'm glad to learn it! When we began to hear the first band's music, we went to the foot of their driveway, as all their neighbors had also done, to watch the parade. I love a parade! It doesn't matter to me if it is humble or grand; a parade is still a parade and I always get a choked-up feeling, whether it's the mayor waving, or Santa Claus. In this case, it was various chu8rch and civic organizations: The Mothers Union, the men's fellowships, the Sunday Schools with droves and droves of small children, must've been every child in town, the Brownies, the Cub Scouts, the Boy Scouts. (I didn't see any Girl Scouts Guides.) There were also three bands, and they sounded surprisingly good, too. The crosses and banners had streamers front and back, so numerous people could carry those, in addition to the marchers actually supporting the weight of them. Most people were dressed in their Sunday best, little girls in fluffy frocks. Some of the girls were in white dresses, carrying pink flowers. The Catholic girls were in somewhat fancier white dresses, complete with veils, presumably their First Communion outfits. The local Member of Parliament marched, too, although I didn't see who it was. I think David pointed him out to Demetrios, but I wasn't listening to them with more than one ear. Several people waved at the Bates ('Of course, when we had the pharmacy, we knew everyone, didn't we?' said David), and some of the children waved at us. We waved back, enthusiastically. We kept watching until the parade turned around and came back again, and disappeared in the direction of the church grounds, where a visiting fair had arrived and set up for the marchers. There no longer are real rides, for safety reasons, but there are dodgem cars and games of the 'Win a goldfish!' variety, as James said, such as coconut shies, for example. What's a coconut shy? It's trying to knock a coconut off the top of its perch on a pole. As it was a glorious day, we enjoyed all this in the sunken garden, where David has set up a remarkable dining arrangement. It's a glass table where 6 people can sit in comfort, and probably 8. The table has a glass lazy susan in the middle, and an umbrella above, that lights up at night and has a place in the middle where you can attach a heater, in case the weather was chilly. We were warm in the sunshine, but chilly in the shade, so yes, we used the heater. In late June. The garden is full of color, with roses and begonias and peonies and dozens of other kinds of flowers I can't name. My favorite is the little shrub that bears tiny, blue-and-white flowers shaped like five-pointed stars. More than enough entertainment for one day, wouldn't you say? Or one week, or longer? But no, yet more fun was planned. We sat in the living room and watched a movie called Shirley Valentine. That's the name of a lady who lives in this vicinity. The movie isn't about her, just the writer liked and used her name for his main character. It's about a bored and mistreated Liverpool housewife (That alone makes it interesting to me) who goes off to Greece for a two-week vacation (That makes it doubly interesting) and changes her whole life around. If you're about 40 or older, you'll be able to relate to this woman. You'll laugh and you'll cry and you'll be left with several things to ponder. I also liked the way various characters turned out not to be who they at first appeared to be. The ending is ambiguous. I choose to believe Shirley and her husband stayed on in Greece and became Orthodox and lived happily ever after. Tuesdays are developing into a certain routine for me: Library in the morning to do some blogging, lunch in the hand downtown, knitting group in the afternoon (where today I met two new people, Rita and Jane, both in my age group), a stop by the supermarket on my way home, while Demetrios stays home and works on his book. Then, in the evening, we go together to Stuart's house in our neighborhood for the Anglican discussion group. We brought the treats this time, shortbread bars topped with layers of caramel and chocolate. We discussed the Gospel lesson about the woman who anointed Jesus' feet, and we talked about how important it is to be aware of our own need for forgiveness. Naturally (I use that word advisedly), it came across as the need to go around feeling guilty, whipping ourselves emotionally. How morbid. We tried to explain that the kind of self-awareness of which we were speaking wasn't about guilt! It's predicated upon the prior awareness of God's fathomless Love, of His unwavering, constant, infinite tender kindness toward us. It isn't about kicking ourselves. It's not about awareness of guilt so much as awareness of how broken and dysfunctional we are. (Yes, we are; and if we don't believe it, we have only to look the Perfect Man, Jesus, to see the gaps between Him and us.) It's about growth in true humanness and into divinity, because you can't correct the distortions within until you become aware of them, can't be liberated from a chain you don't realize you've wrapped around yourself, can't heal the disease until it's diagnosed. (And no, I am not denying it's GOD Who does all this in us, but He most certainly doesn't do it without our effort, and if He did, while we remained passive puppets, that wouldn't resemble anything the Orthodox consider salvation.) So the discussion turned to a meditation upon God's astonishing, miraculous, unbridled Love, and it seems to me we all went home rejoicing. We've spent a quiet couple of days at home,and enjoying every minute of it. Our big achievement was yesterday, when we put up the larger of our two new bathroom cabinets. All by ourselves. Now our toiletries have a place to live. Anastasia's Law: Everything takes longer than you think it will. Corollary: Everything is harder than you think it will be. It isn't perfect, for sure, but it looks okay and we're more or less pleased. It's LEVEL, anyway. We used the new bottle of Listerine for our level! We also spent some evening time exploring English television. It's overall considerably better than American (or Greek, which is even worse). We've enjoyed some detective shows, such as re-runs of the 'Poirot' series with David Suchet, and Inspector Frost. , and 'Springwatch,' a nature show that has webcams in birds' nests and foxes dens and such, and tracks specific animals. There are also rip-offs of American shows. There's an English version of 'American Idol,' and 'Big Brother'. 'Desperate Housewives' is also on. And of course the World Cup matches are on. England hasn't been doing very well. Check out his post here. It's on the use and limits of reason and how we do/don't know God. It's another gem of wisdom, easy to read, simple yet profound. James took me shopping this morning. Specifically, he took me to the same furniture store where yesterday we saw the loveseat we wanted, with the two recliners. We hadn't had time to order it yesterday, as our restaurant booking had imposed a time constraint. James actually took me to two shops. It's always well to shop at at least two, according to his philosophy, which is no doubt correct, because then you can threaten to walk out on one, in the course of your bargaining. He did the bargaining, and got the price down some, but the sales clerk, a girl with cherry red hair named Phillippa, was also being hard-nosed about it, so I think James was disappointed he couldn't get the price down further. It certainly raised some eyebrows, having this handsome young dude doing my bargaining for me. Finally, one shop clerk came right out and asked, instead of the ruder question, whether we were related! The sofa won't be delivered before we leave, but James says he will accept it for us. We'll leave a set of keys with his parents. Isn't that sad? Marriage, not meaning anything. No clue that marriage is for helping each other and your children toward theosis (deification). Even the social benefits of marriage aren't apparent to this generation. I say it's my generation's fault; we're the ones who pioneered 'free-love' - openly, at least, as something socially acceptable. He also had two bits of news. One was that he and Kim, who both work for the same company, both have a chance to trade their current company cars for new ones, Volkswagen Sciroccos, a £25,000 car they both admire. The other news is that Kim's mother had a burglary at her house last night. Kim's little brother and sister recognized the offender and her mum has reported him. So James helped us get all that set up before he went to pick up Kim and go have a look at two brand new Sciroccos! David and Julia had offered, earlier in the week, to go to church with us at their home church, St. Michael's, Aughton. They hadn't been for a longish time, David said. He wasn't sure whether it would be the happy-clappy version of the service or not, so we took our chances. Well, there was just one happy-clappy bit (and yes, it did involve clapping), and that was that song about, 'Shine, Jesus, shine!' Shine on me. Sounds good; what does it mean? 'Blaze, Spirit, blaze, set our hearts on fire.' That also sounds good, but tell me what it means. The Gospel of the day was the story in Luke about the woman who poured perfume on Jesus' feet and dried them with her hair. And I must say, and we did say to the Vicar, that his sermon on the Gospel was excellent. He spoke of how being forgiven much creates in us much love, and he brought in the phrase from the Lord's Prayer about 'forgive us our trespasses as we forgive those who trespass against us.' (The Orthodox do not pray this if there is anyone we haven't forgiven.) He spoke of the difficulty, yet the necessity, of forgiving each other, and of how much easier that becomes when we are aware of our own need for forgiveness. The Vicar read the Scriptures in beautiful, proper English, and then preached the sermon in Scouse! That's the local dialect. Here I have to interject one of my favorite stories about becoming aware of sin. One time when Demetrios and I were shopping, we were in a huge hurry, for reasons I have long since forgotten. Anyway, the girl at the checkout till was not in a hurry at all. In fact, she was tired. She was also black and had some sort of a chip on her shoulder. She served us as slowly as humanly possible, and very sullenly. The whole process took a full 10 minutes. As we walked away, Demetrios turned to me and said, 'And how many times have you sinned in the last 10 minutes?' I was aghast. Hundreds? Thousands? There was no counting the number of uncharitable thoughts I had entertained. Countless sins, in ten minutes, and I would never have been aware of them, had not Demetrios pointed them out! How many sins in an hour, a day, a week, of which we remain mostly unaware? We stopped for coffee in the parish hall church house later, where a very amiable woman named May came and chatted with us. She is from Liverpool, and entertained us with stories of life there. Especially fun was her description of New Year's Eve in Liverpool. She said at the stroke of midnight, everyone comes outdoors with hugs for all and greetings of 'Happy New Year!' and 'All the best!' and in the harbor, all the ships blow their horns, and all this commotion would go on for about 20 minutes. Or at least, that's the way it used to be, in the old days. This church has a rooster at the top of its steeple. I do not know why a rooster instead of a cross, but David and his brother used to take pot shots at it with their rifles. Target practice, it was. 'When you hit it, it spun around,' David said, adding that every once in a while the parish would have to replace it, and nobody ever understood how, from time to time, the rooster would come to be in such bad condition. He and Julia took us shopping in between church and Sunday dinner. We found two bathroom cabinets in a store very much like Home Depot, called B&Q. Two cabinets, because we can use all the storage space we can get in such a small place. One will be for our toiletries, the other for bathroom tissue and extra boxes of Kleenex and the like. We also found the sofa we want. Currently, we have two loveseats two-seaters and that's really all that fits. Still, Demetrios wants to be able to stretch out and nap in the living room. So we were hoping to find a three-seater that wouldn't overwhelm the room, or make it look like what it was: an attempt to cram as much furniture into the room as possible. David had the solution, and demonstrated it: a two-seater, each side of which is a recliner. The dimensions are only 62" long by 34" deep, and it comes in white, perfect! We can both stretch out! We didn't have time actually to order it, as we needed to rush to get to the restaurant on time, where David had booked a table. Kim and James joined us. Nick, the younger son, had planned to, but he became all involved with moving into his new apartment, and ran out of time to shower and shave and such. So we missed him, but hope to see him again soon. We almost all had the lamb, cooked beautifully in a yummy sauce, served with mashed carrot something and vegetable medly. Two of us had beef instead. David and I had sticky toffee pudding for dessert. After the meal, it was back home for a much-needed rest. James and Kim had his parents (David and Julia) and us over to their house for a barbeque. It was steaks with oven-roasted potatoes and a pasta salad, all very yummy. (I suspect Chef David may have been surprised at how good that steak was. As good or better than in your typical American restaurant. Julia had brought an apple crumble with custard, to top it all off. (Custard here is a thick liquid, usually served warm and poured over your dessert.) Kim, who was slightly under the weather from having been out boogeying until three or four this morning, served us some of her homemade wine, and it was good, too, if you like fruity, sweet wine, which we do. We sat out in their small back lawn in the warm sunshine to enjoy our meal. It served as a dress rehearsal for the larger party they are giving tonight. this is the night of the much-anticipated World Cup match between the USA and the UK. They have having about 14 people over, including children. How they are going to accomodate so many people I do not know, as their apartment is as tiny as ours ir not tinier. As you come in the front entrance, you see stairs on your left and the living room on your right. In it are a huge, curvy sofa and a huge, flat-screen television, and that's all, or if there's more you don't notice it. Behind the stairs in the space with the sloping ceiling is a lighted terrarium housing a female Bearded Dragon named Torres, after James' favorite soccer player footballer. To the rear is the kitchen, newly remodelled, with black coutnertopsa nd black tiles, and past that, the sliding doors to the back yard. Upstairs are two bedrooms, one serving as a home office for James, the wall of which Kim has painted in black, red, white, and yellow geometric shapes to look very much like a Mondrian painting. Like young Elpida and Pantelis in Greece, James and Kim like decorating in black. The carpeting on the stairs and upstairs is black, as is some of the wallpaper, and the bathroom tiles. In the bathroom is a square basin atop a wooden block, giving the whole thing a modern look. Okay, just thought you might enjoy a description of one English home. At 5;30, David announced 'drinking time.' I had a nap instead. I stretched out on a sofa plus a footstool in the summerhouse and dozed a solid hour. Supper was another gourmet affair, with shrimp and tiny scallops in a rich lobster sauce of David's concocting. This was followed by a surprisingly very good moussaka bought frozen from the grocery store supermarket. Dessert Pudding was a cream torte with raspberries. Yum! Hint from Helen: It doesn't help for you Brits to play God Save the Queen at a football match against the USA. It's a patriotic tune for us, too, called America. Demetrios went to the store today and came back limping. Hint from Helen: Well, you don't need Helen to tell you this one. Around here, there's a proverb that says a swan can break your arm. Demetrios' godson, James (Julia and david's elder son) and his girlfriend, Kim, came over, bringing their smallest television to lend us. It's a flat-screen, and it's larger than any we've ever had. Then they took us to Liverpool for a day out on the town. My image of Liverpool, which I suppose is widely shared, is of a grim, grimy relic of the Industrial Revolution. That would have been correct 20 years ago. But since then, enormus amounts of money have been spent to refurbish the city, and by now, I must tell you, it's well on its way to becoming a world-class city. No, it will not yet compete with Paris or Rome, but it's getting there. Blocks and blocks of the downtown have been made into pedestrian-only areas, making one giant, outdoor shopping mall. Some of the streets have been glassed-in, too, and within this complex there is at least one American-style, all-indoor mall. Shops range from bargain-hunters' magnets to up-scale, chic places, and so do eateries. We visited the famous Albert dock and took in a couple of its museums, including the one featuring Titanic and Lusitania exhibits. 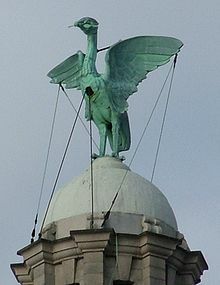 Liverpool was the home port for both doomed ships, although Titanic was never here. We had lunch at a spanish restaurant featuring tappas. We don't have such places in Richmond. It was excellent and moderately-priced. Didn't get to see St. Nicholas, the Greek Orthodox church, as we weren't sure where it was but it wasn't near. We did find a bathrobe for Demetrios. Kim really knows her shops! She can tell you where to buy anything. We also saw the Everton home fields, Everton being the other, rival, soccer football club here. 'D'ya notice the smell?' James asked. He's a supporter of Liverpool. Back in Ormskirk in time to avoid the Liverpudlian rush hour, james and Kim took us to a store called Pound-Stretchers, to buy two pillows (for our guests) and a basket for Kim';s toletries. Then on to Argos, a catalogue store, where they very quickly found us what we needed to get the television up and running: some sort of special cable to connect it with the communal antenna, and a 'digi-box,' to allow this analog set to receive the now all-digital telecasts. Tomorrow we will purchase a television license, to be able to operate the set legally. They plugged everything in and showed us to to work the remote. And then they stayed for tea and crumpets. I made the tea strong this time, the way Julia does. She uses two teabags per cup of tea! So I used 8 altogether. Six will be perfect for next time. We also had some cookies biscuits, both shortbread and chocolate clusters. We were so touched by the kindness of these two people, not only lending us a TV and getting it set up for us, not only taking us out for a look at Liverpool, but - just imagine ! - two people still in their twenties, willing to spend the entire day with two old fogeys like us! And seeming to enjoy it, even. Amazing. Libarary computers are free to use, but there is a time limit of two hours. So when my time was up, I walked a block or two to the center of town and bought myself a lunch of egg salad egg mayo sandwich, with an adult-sized juicebox containing blackcurrant juice. I found a bench by the clock tower in the square and sat there to eat. Then on to the yarn shop. I did pick out some yummy yarn, in all the colors of our flat, but I've no idea what I'm going to do with them. I think I may make a tea cozy. Anyway, buying the yarn was secondary; the main objective was to find and join the knitting group that meets there on Tuesday afternoons. Which I did, although only one other knitter showed up today. Her name was Sandra and she is a young grandmother who works at Tesco (supermarket). Myra, the proprietess, joined us, along with a shop clerk named Mark, who began to knit three years ago and says knitting has now 'taken over me life.' (No, I do not know, but I think yes.) So we spent a pleasant afternoon knitting and chatting. About halfway through, Mark served us tea. These people are hilarious! I mean, everybody from here is. Demetrios says all the comedians come from this area of the country, and I can well believe it. They never miss a beat with their witticisms. Mark and Sandra, especially, teased one another mercilessly all afternoon and kept us in stitches in more than one sense! In the evening, we went to a church discussion group. The church bulletin notices sheet said the group was to discuss the sermon or to deal with any questions regarding the service (meaning especially the contemporary service). Discussion group to meet at such-and-such an address. Where's that? I called the church, but too late; nobody was there. Finally I just started phoning anybody whose telephone number was listed. On the second try, I found a woman who told me how to get to Fairfield Close, and it's very near us, a 5-minute walk. So we went there and met Stuart, who is to be ordained July 4, and his wife, Angela. then the worship leders showed up, Kirsten and Paul. We didn't say much. We did make it clear we were Orthodox, and we did ask one or two questions, seeking their point of view. Okay, so let me see if I can present their POV to you. First, there is a concerted effort to bring people in, get them to attend church. There is a theory, probably accurate, that the old services (and even the old buildings, for children) have become 'frightening and off-putting,' in Kirsten's words. The level of ignorance about the Christian Faith, I gather, is staggering in England. So these people, motivated by love, as Kirsten emphasized, are, well, trying to redesign the whole thing more or less from scratch (my words). The traditions, as I've been suspecting, have become meaningless; nobody knows what they are for, and Angela ventured an opinion that the rules about how things should be done are a form of Pharisaism. Hence, in this parish, there are no rules; Kirsten and Paul design the contemporary services with pretty much a free hand. The Book of common Prayer has been virtually abandoned all over England. But Angela did recognize the purpose for one tradition, that of having the General Confession at the beginning of the service. (Kirsten had received a number of complaints after having designed a service meant to bring people to the awareness that they needed confession, therefore culminating in confession at the end.) Angela pointed out that the idea of putting it at the beginning (everything is an idea) is that we aren't worthy to worship until we have first repented. There is was - and Demetrios reinforced it - the idea that a tradition handed down for centuries might actually have survived that long for a good reason, might actually serve some edifying end, and if its function could be rediscovered, one might like to think twice before jettisoning it. It wasn't until after we came home that we had second thoughts about that. Anglicanism is another too-incomplete reform of Roman Catholicism, so if you trace the function of any tradition all the way back to before King Henry VIII, you will find it bent to bolster the papacy. These people are actually correct in rejecting bent tradition. Anyway, we met some very good people and enjoyed the evening. We stayed home today and I played house, having a ball cleaning my adorable little Doll House. That's what I call our flat, The Doll House. This morning as we glanced out the front window, we saw a mallard duck with nine very tiny ducklings trailing her, walking across the garden. The drake that sits on the chimney pot and sometimes even on the TV antenna (HOW does he do that, with his flat feet???) appears less and less frequently. The other visitors were from Germany. 'I lost command!' was his instant answer. It reminded us that the Holy Spirit works wherever He will, meaning as extensively as possible, given man's freedom, which He will never violate, because that by definition would be the very opposite of saving us. he is never entirely absent from anywhere, and He certainly isn't from here. The other thing that impressed us greatly was that perhaps the reason these people are throwing out all their traditions is that they no longer know what they mean. That is, the traditions no longer have any function for them, no longer serve any edifying purpose. People have forgotten what they were for, if anything; they suppose tradition is for its own sake, and see no point in that. In the afternoon, David and Julia's son James came with his girlfriend, Kim, to take us to his parents' house for a barbeque. James is Demetrios' godson. He is 6'4" tall and has the deepest blue eyes I ever saw. (His father's are bright blue, but James' are saturated, as though God had dished out a triple dose of pigment when He made James.) Kim has reddish brown hair in one of those cuts that is jaw-length in front and shorter in back. Both are very amiable and easy to be with. The Bates have a sunken garden out behind their house and conservatory, with a summerhouse beside it. The summerhouse has two rooms, a kitchen and a very small sitting room. We all crowded into the latter and were very comfortable there, seven of us including the younger son, Nick. Nick is very gregarious and has sandy-colored, curly hair. David is a chef par excellence. I've always heard of his cooking, and now I know why. We had beef and lamb and potatoes and grilled vegetables, all exquisite. Julia crowned all these with a homemade tiramisu. I could have eaten the whole, large bowl. David opened a theological discussion, prompted by reading my blog, which for him is too religious. His comments reminded us that yes, it is right and proper when one way or the other we grow out of the baby religion we were taught as children; as David put it, all that stuff about God waking up in the morning and being entertained by angels playing harps. Or as I would add, God requiring a bloody human sacrifice in payment for our sins. Outgrowing that 'folk religion', as we might call it, can of course take at least two forms. One is simply to reject it and another is to acquire a more adult understanding of God. Another thing of which the conversation reminded us is that True Religion does have to be logical! Christ, after all, is the Logos of God, God's logic, incarnate. More accurately, He is the Principle of Truth, from which all true logic and reason flow. A religion that is illogical is not His, and therefore is not true. On the other hand, we aren't speaking of secular logic, either. David pointed out repeatedly that this gets us approximately nowhere. So what's the difference between secular logic and spiritual logic? Is it the topic of the discussion? No! You can discuss theology in perfectly secular ways and too many so-called theologians do just that; or you can discuss, say, deer hunting in perfectly spiritual terms. The difference is that spiritual logic is rooted in faith in the God Who is Love. It all begins there. So, for example, it is not logical to believe that a man could rise from the dead. UNLESS you have seen Him die and have met Him alive afterwards! And have put your hands into His wounds and have seen Him eat before you, and have heard Him conversing with you, and others have seen Him alive, too, up to 500 people all at the same time. Then (and only then) the illogical, indeed the insane thing would be not to believe! We came home with increased gratitude for Holy Orthodoxy, which leads her children into personal experience of all these things, making each generation into firsthand witnesses of them. Do Holy Week and Pascha with the Orthodox Church and then when anybody asks you, 'Were You There When They Crucified My Lord?' you'll answer, 'Yes! Yes, and when He trampled down death by death, too, and when He burst its bonds! I was there!' And you were, in a way that leaves those who were there historically with no spiritual advantage over you. David kindly lent me his birdbook! Yes, the black fellow with the impressive volcabulary is indeed a blackbird. And yes, we have Wood Doves here, and Collared Doves. And the birds on the pond in the park are Mute Swans and Mallards and Coots and something I haven't found yet. And the guy sitting on the TV ariel across the street from us is only sometimes the Mallard Drake. A Wood Dove likes to there, too, just to make it more confusing. Saturday morning, another gorgeous day, and we had just finished a leisurely, late breakfast, I in my nightgown and Demetrios in his skivvies, when he glanced out the window and shouted, 'OH!' I looked out the window in time to catch sight of what he meant, just as he said, 'Here come David and Julia!' So we raced into the bedroom and threw on some clothes in time to answer when they rang the outside bell. We only had to make them wait a few moments. The other purpose for David and Julia's visit was to invite us to a fête later this afternoon. Of course we gladly accepted. The fête, Julia assured us, was a typical English event. You could sit out in a garden and be served tea with a strawberry cream scone. You could buy homemade cakes and jams; we bought raspberry jam. there was an exhibit of paintings by local artists. We didn't see one we wanted, but now that I think of it, when we do get ready to put something on our blank walls, a local subject by a local artist would be perfect. At the fête, we encountered some of Demetrios' Old Friends, the Rev. Michael Smout and his wife, Valerie. Michael was the Rector of St. Michael's Church, directly adjacent to where the fête was. He is also the one who married David and Julia. While we were there, we took a peek into St. Michael's Church, which is lovely inside. Its oldest partes are Norman, dating to the early 1100s. There is even some evidence (part of a Saxon stone cross) of a wooden church haveing been here earlier; the cross is from the late 800s. The list of Rectors goes all the way back to Robert Blundell, who served until 1246; that's before Marco Polo journied to China. After the fête, David and Julia had another party to attend, so they dropped us home. In the evening, during an exploratory walk around the neighborhood, we solved the mystery of the bird that sits on the TV ariel across the street from us. This time, we got a sideways view of him, and he is, of all things, a duck! Yes, an ordinary, Mallard duck drake - who thinks he's a perching bird. It's evolution, you see, happening before our eyes: the bird is adapting to a new environmental niche. Demetrios showed me the small creek I'd never noticed before that runs right beside our block of apartments. We woke up to find the carpeting in the bathroom has a large stain - around the toilet. Furthermore, the coffee pot, refrigerator, and radio are not working. There must be an electrical box somewhere around here, but we can't find it, to reset the breakers. Or replace the fuses, perhaps? We have the name of the plumber the previous owner used; she very helpfully left us a list of such services. However, we have no phone...so, downtown we hiked, to the phone just off the main square by the Post Office. The plumber wasn't at his phone. No use leaving a message, as there is no way he can return our call. How to find another plumber? We asked strangers on the street, and were directed to Jackson's, a retail store selling bathroom stuff. The lady there was on lunch break, but unlocked the door to let us look around for fifteen minutes until her break was over. We did find some bathroom cabinets there, but they're very expensive, as in £200-400. Not for us, thank you very much. After 15 minutes, the lady returned and gave us the name of a plumber who installs sinks and showers and toilets and so forth for Jackson's. Back at the Post Office, the clerk who had sold us the telephone service let us use his mobile phone (as they're called here, not 'cell phones') to call the plumber. He can't come until tomorrow. But what can we do? At least we have an appointment for tomorrow at 1:00. That's a relief. We also used his mobile phone to resolve the issue with the water company. They had shut down our (brand-new!) account last October, which is why they no longer have the direct debit from our bank activated. so how is it that, with us gone and the account closed, we accumulated £60 pounds worth of charges? Because the amount they had charged us earlier was only estimated. When they actually read the meter, it was more. For one week's worth of water? Anyway, I had TOLD them what the meter reading was. So I think we are going to dispute the charge, but not today. Not on somebody else's mobile phone minutes. For now, we're re-instating the automatic debit. And arranging never again to be charged on the basis of estimated use, but only actual meter readings. The feeling of 'I can't believe we own this adorable flat!' has evaporated. We own it, complete with leaks, electrical problems, and bills. There's no manager to call to take care of it all for us, no landlord, no front desk. All the issues are ours to solve. With with the major ones resolved, however, we began to feel relatively free and easy, and ready to start having some fun. So, as it is another perfect day, wandered through the market. Thursday is market day here, where you can buy everything from shoes to fresh produce to meats from vendors under white tents. We stopped at the Mediterranian stall and bought over-priced kalamata olives, feta cheese, and loukoumi, that sweet, gelatinous, sugar-coated candy Demetrios likes, otherwise known as Turkish Delight. We won't buy any more from that vendor, though, as the supermarket has it all at more reasonable prices. Food here, in general, is quite dear ('dear,' not 'expensive'). We also found some gorgeous rhubarb, which I bought and took home to make into a pie. We strolled through the park on our way home. It has playground equipment I've never seen before, as well as a place for skateboarding. At the pond, three or four mallard duck families have ducklings of various ages, some of them no more than two days old. And the swans have seven grey (not gray) cygnets. When I stopped to admire them, Mother Swan (I don't know where Mother Goose was) reared up out of the water, flapping her wings and squawking at me. 'What's she doing?' asked a small child on a nearby bench. 'Warning her away,' said the child's father. There are gulls here, too, even though we're about 7 miles from the ocean. I think they're herring gulls, because they look the same as our herring gulls in North Carolina. Must acquire a bird book! In the evening, we encountered our neighbor, Linda, and asked her where the electrical panels are with the circuit breakers. She said hers were in her coat closet by the front door. We opened ours, and yes, there was a box with buttons and lights, but it was the security system. We had already looked there, and everywhere else, earlier. Still, as I stood there near the front door, I seemed to have a vague memory of having seen those breakers somewhere nearby. Then I happened to glance up, and there they were above and to the right of the front door. Sure enough, one of the handles was pointing downward. We flipped it up like all the rest, and the fridge began to hum. Another problem solved. We breathed huge sighs. The plumber showed up, half an hour late but still most welcome, and did his bit. The good news is that the water was coming from the tank of the toilet, not the bowl. Which means it isn't sewerage ('sewerage', not sewage'). In fact, it was coming from a leak in the pipe leading to the tank. So it's just water! Clean water. Thank heaven. However, the carpet and the rubber underlayment are saturated. Plumber ripped them back for us to help them dry. It will take some days. He charged us £45, not bad. We found a space heater that had been left for us in one of the bedroom closets. It puts out a prodigious amount of very hot air. So later, at night when electrical rates are lower, we plugged it in and left it on a couple of hours to try to speed the process, to prevent mold and/or mildew. As soon as the plumber had left, we went out to enjoy the town and the still-perfect weather. Stores and pubs and automobiles around here are all sporting the English flag. Not the Union Jack, which represents the whole United Kingdom, but the white flag with red cross that represents just England. From this, we have deduced that the World Cup soccer championships are about to be played and that England is in the competition. We inquired, and were told the matches begin Saturday of next week. England is to play the United States. I suppose that means we'd better not show up in any pubs to watch it on their television! Late in the afternoon took the bus to nearby Burscough, where we had heard there is a shop that rents televisions. We found the shop, but it was already closed. We shall try again early next week. On our way home, we again spotted the mysterious bird that sits on the chimney across the street from our flat. But again we couldn't see him well enough to tell what he is. He seems bigger than a crow. There are hours more daylight here than in Richmond! I don't know what time the sun rises because I'm never awake, but it doesn't set until around 9:30, and what I call 'deep dusk' doesn't really set in until 10:00. It's hard to realize when bedtime comes. All this glorious light is the Brits' reward for suffering through the long, dark winters. We returned Elizabeth to her father, who met us at their house and got us to the airport in plenty of time. Elizabeth finished her embroidery ('stitchery,' she called it) while she was at our house. It was the head of an orange and white cat she had drawn on burlap with crayons. So then she took up knitting. She already knew how to knit, but I had the great joy of showing her how to cast on, how to purl, how to do selvedges, and how to change colors at the end of a row. We found her some yarn from my stash. ('Oh, you have twice as much as Mom, and she has a huge box!' said Elizabeth. Good for you, Barbara, having a whole huge box!) She's working on a green and blue scarf with a seed stitch texture and doing very well on it. Daniel looked well and is dating a woman he describes as very nice ('That's the first requirement,' I said...) and 'very smart' ('And for you, that's the second.'). We arrived in England after a miserable flight. USAirways packs you in like sardines. The seatbelt barely fit me and the tray table wouldn't lie flat. And the woman in the seat next to me weighed twice as much as I do. The weather was rainy - no surprise there, eh? - and cold. That was a surprise: the high temp for the day was 54, and that's Fahrenheit! Ah, we're going to love it here, escaping the sweltering days of a Richmond (or Greek) summer. Julia and David greeted us at the airport, to our great joy, and they both looked well. The first place they took us was home. HOME! This little dollhouse in England is ours. We can hardly believe it. We brought in our luggage (after a bit of a do on account of all the mail that had been dropped through the slot in the front door, making the door a bit tricky to open) and then Julia and David took us to the supermarket to pick up a few essentials. We dropped those back at home and plugged in the refrigerator and put away the perishables. Then, home again. Julia and David, who besides being very kind, are very understanding people, said goodbye and left us to settle in and rest. We unpacked and put everything in its place, all mostly in an effort to stay awake. We tried reading through our mail, but our eyes glazed over and we succumbed to a sound afternoon nap. It's still late springtime here. Lilacs and laburnum and hedges are still in bloom, having disappeared from Richmond a month ago. Rhododendron is blossoming, too. In Richmond, it comes out right about the first of May. There are also quite a few birds I can't identify, including a black fellow with an extensive vocabulary. He has a yellow beak. In the States, you'd see that yellow beak and immediately say, 'Starling!' (wouldn't you?) but this bird, unlike a starling, has a long tail and no speckles. Also, there's a bird that loves to perch on a chimney across the street from us. He has a small head, which always makes me think of doves, but if this is a dove, it's a humongous one. Haven't yet seen him in profile, only straight on. The weather is perfect today: very warm but not hot sunshine, cool breeze, blue skies, temperature in the mid-70s. We had a leisurely breakfast and sorted through our mail. The water comapny thinks we owe them £60. How can that be, when we set up an automatic debit with them at our bank? Then we made a list of issues and prioritized them. First necessity: a telephone. It's blankety-blank inconvenient without one! Can't call the water company or the bank or Julia and David. We went downtown and rather to our surprise, almost immediately found and bought the bed we were looking for. It's a single bed with a trundle underneath that can be jacked up to the same height as the other bed, so you can make them up as one big bed or as two singles, or even put one in the other room. This was the main thing we needed to prepare for Nick and Sharyn's visit at the end of this month. Still a few more items, like towels and facecloths, but this was the biggie. And, because we didn't have to buy a double bed, we can still use the same duvet on the new one. As I love it and as it matches the curtains, this is no small consideration. We can't seem to reach the water company. We get cut off within two minutes every time we start to speak with them. Well, their £60 will have to wait.